The Act’s objectives are to provide investors with material financial and other corporate information about issuers of public securities. Among other things, registration forms call for: a description of the securities to be offered for sale; information about the management of the issuer; information about the securities (if other than common stock ); and financial statements certified by independent accountants. private placements: Private placement (or non-public offering) is a funding round of securities which are sold not through a public offering, but rather through a private offering, mostly to a small number of chosen investors. 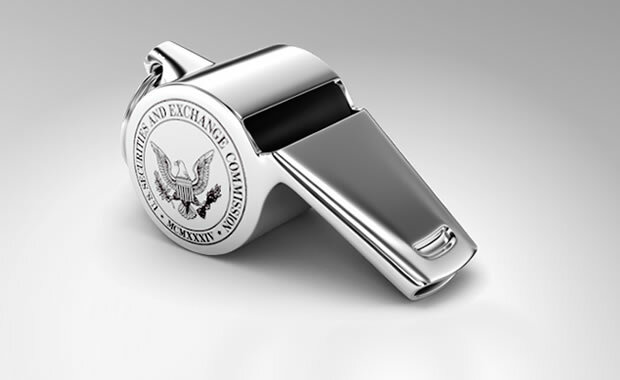 SEC: The U.S. Securities and Exchange Commission (frequently abbreviated SEC) is a federal agency which holds primary responsibility for enforcing the federal securities laws and regulating the securities industry, the nation’s stock and options exchanges, and other electronic securities markets in the United States. The Act’s objectives are to provide investors with material, financial, and other corporate information about issuers of public securities (i.e. stocks and bonds), and to prevent fraud in the offering of such securities. The primary purpose of the ’33 Act is to ensure that buyers of securities receive complete and accurate information before they invest. For public offerings, the main requirement of the Securities Act is registration. An issuer must prepare an extensive statement describing the securities to be offered and detailing the nature of the issuer’s business. Once this statement is registered with and approved by the SEC, its data and forecasts are placed in a prospectus for potential investors. Any offering of the securities by the issuer or underwriter must thereafter be accompanied by the prospectus. Notice of resale is provided to the SEC if the amount of securities sold in reliance on Rule 144 in any three-month period exceeds 5,000 shares or if they have an aggregate sales price in excess of $50,000. After one year, Rule 144(k) allows for the permanent removal of the restriction except as to ‘ insiders ‘. Regulation S is a “safe harbor” that defines when an offering of securities is deemed to be executed in another country and therefore not be subject to the registration requirement under section 5 of the 1933 Act. The regulation includes two safe harbor provisions: an issuer safe harbor and a resale safe harbor. In each case, the regulation demands that offers and sales of the securities be made outside the United States and that no offering participant (which includes the issuer, the banks assisting with the offer, and their respective affiliates) engage in “directed selling efforts. ” In the case of issuers for whose securities there is substantial U.S. market interest, the regulation also requires that no offers and sales be made to U.S. persons (including U.S. persons physically located outside the United States). The ’34 Act also regulates broker-dealers without a status for trading securities. A telecommunications infrastructure was developed to provide for trading without a physical location. The Securities Exchange Act of 1934 (also called the Exchange Act, ’34 Act, or Act of ’34) is a law governing the secondary trading of securities, including stocks, bonds, and debentures, in the United States of America. It was a sweeping piece of legislation. The Act and related statutes form the basis for the regulation of the financial markets and their participants in the United States. 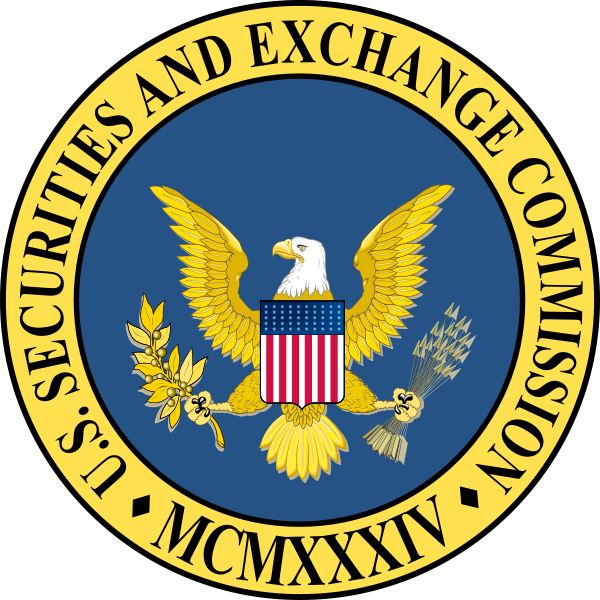 The 1934 Act also established the Securities and Exchange Commission (SEC), the agency primarily responsible for enforcement of United States federal securities law. Securities Exchange Act of 1934: Act of 1934 governs the secondary trading of securities. One area subject to 34 Act regulation is the actual securities exchange — the physical place where people purchase and sell securities (stocks, bonds, notes of debenture). Some of the well known exchanges include the New York Stock Exchange, the American Stock Exchange, and regional exchanges like the Cincinnati Stock Exchange, Philadelphia Stock Exchange and Pacific Stock Exchange. At those places, agents of the exchange or specialists, act as middlemen for the competing interests to buy and sell securities. An important function of the specialist is to inject liquidity and price continuity into the market. Given that people come to the exchange to easily acquire securities or to easily dispose of a portfolio of securities, the specialist’s role is important to the exchange. The ’34 Act also regulates broker-dealers without a status for trading securities. A telecommunications infrastructure was developed and allows for for trading without a physical location. Previously these brokers would find stock prices through newspaper printings and conduct trades verbally by telephone. Today, a digital information network connects these brokers. This system is called NASDAQ, standing for the National Association of Securities Dealers Automated Quotation System. In 1938, the Exchange Act was amended by the Maloney Act, which authorized the formation and registration of national securities associations to supervise the conduct of their members subject to the oversight of the SEC. That amendment led to the creation of the National Association of Securities Dealers, Inc. – the NASD, which is a Self-Regulatory Organization (or SRO). The NASD had primary responsibility for the oversight of brokers and brokerage firms, and later, the NASDAQ stock market. While the ’33 Act recognizes that timely information about the issuer is vital to effective pricing of securities, the Act’s disclosure requirement (the registration statement and prospectus) is a one-time affair. The ’34 Act extends this requirement to securities traded in the secondary market. Provided that the company has more than a certain number of shareholders and has a certain amount of assets (500 shareholders, above $10 million in assets, per sections 12, 13, and 15 of the Act), the ’34 Act requires that issuers regularly file company information with the SEC on certain forms (the annual 10-K filing and the quarterly 10-Q filing). While the ’33 Act contains an antifraud provision (Section 17), when the ’34 Act was enacted, questions remained about the reach of that antifraud provision and whether a private right of action—that is, the right of an individual citizen to sue an issuer of stock or related market actor, as opposed to government suits—existed for purchasers. clearance: In banking and finance, clearing denotes all activities from the time a commitment is made for a transaction until it is settled. Clearing is necessary because the speed of trades is much faster than the cycle time for completing the underlying transaction. settlement: Settlement of securities is a business process whereby securities or interests in securities are delivered, usually against (in simultaneous exchange for) payment of money, to fulfill contractual obligations, such as those arising under securities trades. SEC: The amendments are direct SEC to enable the establishment of a National Market System. In addition to processing the transactions themselves, these plans also show the price and volume data for these transactions. Information on each securities trade is sent to a central network at the Securities Industry Automation Corporation (SIAC) where it is then distributed and consolidated with other trades on the same “tape”. Regulation NMS (or Reg NMS — Regulation National Market System) is a regulation promulgated and defined by the United States Securities and Exchange Commission ( SEC ) as “a series of initiatives designed to modernize and strengthen the national market system for equity securities. ” It was established in 2007 and seeks to foster both “competition among individual markets and competition among individual orders” in order to promote efficient and fair price formation across securities markets. 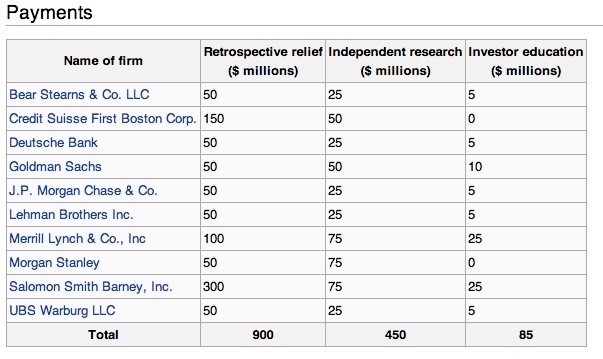 In 1972, before the SEC began its pursuit of a national market system, the market for securities was quite fragmented. The same stock sometimes traded at different prices at different trading venues, and the NYSE ticker tape did not report transactions of NYSE-listed stocks that took place on regional exchanges or on other over-the-counter securities markets. This fragmentation made it difficult for traders to compare prices of stocks. In 1975, Congress authorized the SEC to facilitate a national market system. The order protection rule has generated controversies since it requires traders to transact on a trading venue at the lowest price rather than on a venue that offers the quickest execution or the most reliability. Thus, some have described it as an improper government intervention into private business affairs. Defenders of the rule argue that it really just requires what brokers should be doing if they are acting in their customer’s best interests. Still, others have argued that the rule is too lax because it only protects the quotes at the top of the book. Opponents claim it has reduced America’s international competitive edge against foreign financial service providers; Proponents say that SOX has been a “godsend” for improving the confidence of fund managers and other investors with regard to the veracity of corporate financial statements. boards of directors: A board of directors is a body of elected or appointed members who jointly oversee the activities of a company or organization. off-balance-sheet: Off-balance sheet (OBS), or Incognito Leverage, usually means an asset or debt or financing activity not on the company’s balance sheet. Senator Sarbanes and Representative Oxley: Senator Sarbanes and Representative Oxley sponsored the 2002 Act. The bill was enacted as a reaction to a number of major corporate and accounting scandals including those affecting Enron, Tyco International, Adelphia, Peregrine Systems, and WorldCom. These scandals, which cost investors billions of dollars when the share prices of affected companies collapsed, shook public confidence in the nation’s securities markets. Title VI defines practices to restore investor confidence in securities analysts. It also defines the SEC ‘s authority to censure or bar securities professionals from practice and defines conditions under which a person can be barred from practicing as a broker, advisor, or dealer. Title XI consists of seven sections. Section 1101 recommends a name for this title as “Corporate Fraud Accountability Act of 2002”. It identifies corporate fraud and records tampering as criminal offenses and joins those offenses to specific penalties. It also revises sentencing guidelines and strengthens their penalties. This enables the SEC to resort to temporarily freezing transactions or payments that have been deemed “large” or “unusual”. Debate continues over the perceived benefits and costs of SOX. Opponents of the bill claim it has reduced America’s international competitive edge against foreign financial service providers, saying SOX has introduced an overly complex regulatory environment into U.S. financial markets. Proponents of the measure say that SOX has been a “godsend” for improving the confidence of fund managers and other investors with regard to the veracity of corporate financial statements. The Global Settlement was an enforcement agreement reached on April 28, 2003 between the SEC, NASD, NYSE, and ten of the United States’s largest investment firms to address issues of conflict of interest within their businesses. As part of the settlement decision published on December 20, 2002, several regulations designed to prevent abuse stemming from pressure by investment bankers on analysts to provide “favorable” appraisals were instantiated. IPOs: An initial public offering (IPO) or stock market launch is a type of public offering where shares of stock in a company are sold to the general public, on a securities exchange, for the first time. conflict of interest: A conflict of interest (COI) occurs when an individual or organization is involved in multiple interests, one of which could possibly corrupt the motivation for an act in the other. The Global Settlement was an enforcement agreement reached on April 28, 2003 between the Securities and Exchange Commission (SEC), National Association of Securities Dealers (NASD), New York Stock Exchange (NYSE), and ten of the United States’s largest investment firms. The agreement was meant to address issues of conflict of interest within their businesses. The central issue at hand that had previously been decided in court was the conflict of interest between the investment banking and analysis departments of ten of the largest investment firms in the United States. The investment firms involved in the settlement had all engaged in actions and practices that had aided and abetted the inappropriate influence of their research analysts by their investment bankers seeking lucrative fees. 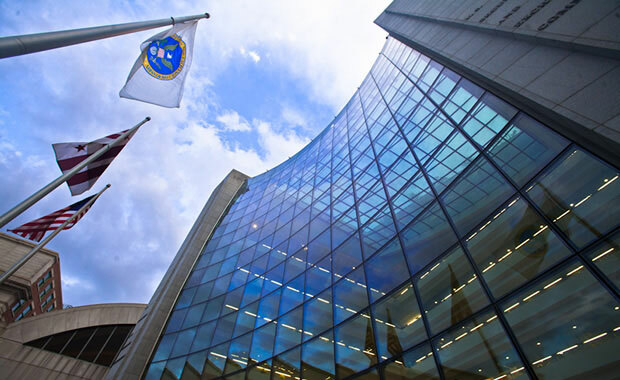 A typical violation addressed by the settlement was the case of CSFB and Salomon Smith Barney, which were alleged to have engaged in inappropriate spinning of “hot” IPOs and issued fraudulent research reports in violation of various sections within the Securities Exchange Act of 1934. Similarly, UBS Warburg and Piper Jaffray were alleged to have received payments for investment research without disclosing such payments in violation of the Securities Act of 1933. As part of the settlement decision published on December 20, 2002, several regulations designed to prevent abuse stemming from pressure by investment bankers on analysts to provide “favorable” appraisals were put in place. Most importantly, these firms would have to literally insulate their banking and analysis departments from each other physically and with Chinese walls. In addition, budget allocation to management in research departments will be independent of investment departments. Research analysts will also be prohibited from going on pitches and roadshows with bankers during advertising and promotion of IPOs. Similarly, the Global Settlement also increased the IPO “quiet period” from 25 days to 40 days. Finally, research analysts’ historical ratings must be disclosed and made available.